Why I don’t run. Ever. It was my first time in a cinema and I was agog. People dipped discreetly into boxes of chocolate-covered nuts. There were carpets on the walls. An entire seat just for me. And not the usual rubbish designed for children, made of Marmite-proof, Oros-repellent plastic: this one was upholstered in the kind of plush, red velvet you can only dream of when you’re six. 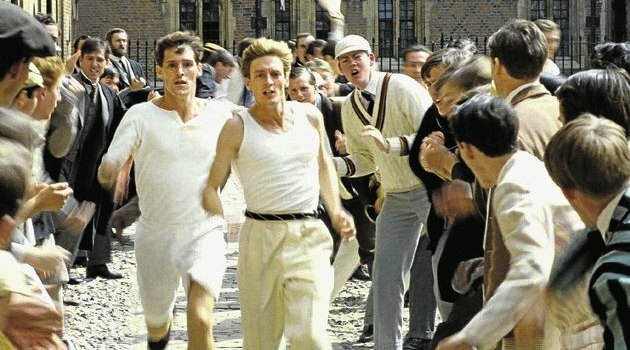 Best of all, we’d come to see Chariots Of Fire, a film about two of my favourite things at the time: chariots and fire. When we opened on a beach in Scotland, with no sign of burning two-wheelers, I was disappointed. But only for a moment. Soon I was bewitched by the iconic theme, clean as endorphins pulsing through a brain; hypnotised by the white-clad figures skipping through the St Andrews surf.